Andrew Howard 198 venues at 373 runs. Dan Spinks (2nd claim) 100 venues at 214 runs. Martin Quinlan 78 venues at 287 runs. Fiona Critchley 67 venues at 162 runs. James Nichols 54 venues at 152 runs. Jonathan Wooldridge 53 venues at 145 runs. Katherine Harris 45 venues at 227 runs. Steve Swan 43 venues at 78 runs. Paul Marshall 36 venues at 126 runs. Steve Bywater 34 venues at 220 runs. Janet Bywater 25 venues at 120 runs. Patrick Brown 20 venues at 230 runs. ELR at parkrun - Male & female parkrun records as at 12/06/18. East Midlands, North East England & North West England, West Midlands & Yorkshire & Humber parkruns. Lancaster	1	Paul Marshall 23.30. Shrewsbury	1	Dan Senior 18.20. Republic of Ireland parkruns by ELR. Rest of Europe parkruns by ELR. South Africa parkruns by ELR. USA & Canada parkruns by ELR. Australia & New Zealand parkruns by ELR. I never went out on New Year's I was in bed just after hearing Big Ben strike Midnight! So here's my year so far parkrun style. Castle Park Bishops Stortford 26:25 mostly grass. I met a friend form Ware Joggers at the car park, we had not arranged to meet. Always nice to meet a friend at parkrun. She decided to run her second of the day with me as well so off we went to Chelmsford Central 27:59 loads of people a mix of tarmac and grass. Ally Pally 28:46 Hilly is all I remember they were doing the winter course. Fritton Lake 27:00 a beautiful run around the lake some mad people were having a morning swim when I arrived, Then off to Southwold for beer tasting. My home run of Wanstead Flats 26:59 always a favourite of mine. Walthamstow 27:01 not enough ELR do this come on guys its local and can be fast. Finsbury Park 25:53 just down the A406 or easy by tube all tarmac a little hilly. Colchester Castle 26:41 very hilly, the day we did this the paths were frozen so they changed it a little as down by the river was slippery. Hockley Woods 27:28 truly stunning this morning, the mist was rolling through the woods as we ran around, A steep hill towards the end. Kesgrave 25:31 my first ever parkrun was here, I drove JW and Fi and we met my nephew. Mostly grass the last 1K is in the woods followed by a sprint (lol) to the finish line. Upton Court 33:04 the day of the snow not many events on today but JH SD and myself made the trip. Nice views of Windsor Castle, mainly grass, can be muddy. Burnham-on-Crouch 26:37 a new tourist is born welcome to the club Janet Bywater. Queen Elizabeth 30:00 not a great start to the day as someone decided to drive into my car at 06:00 in the morning. No time to hang around so swapped numbers and KH SD and JW and I drove down south, A very hilly run with really sticky mud. 25:56 Clacton Seafront. I like runs along the prom but this one was 3 loops with a steep hill, will be a good summer one I think. Hackney 25:14 my car was in for a service so Maya picked me up and we did Hackney nice flat course. Always meet someone from ELR here. Haverhill in 27:19. A very muddy run around football pitches, 3 laps as well, Good thing about this is my best mate lives a couple of miles away so a hot shower and a big breakfast was guaranteed. Felixtstowe 24:48 I was staying in Ipswich so I wanted to finish Suffolk off. A very flat run along the sea front this will be a PB course for lots of people. KH did this with me she was going to do Ipswich but a run by the seaside changed her mind. South Woodham Ferrers (ferrets) 26:13 FI and myself ran this, this was a nice run along the sea wall. Slight wardrobe malfunction for me and a blister for Fi, also the funniest service in a cafe ever. Jersey 26:05. A very early start and a flight from Southend JW FI KH and Bernard had a great day, loads of walking afterwards exploring the island, before heading home to medal night. Harwich 27:07 my first camping trip of the year, I met Fi and SS here, another run along the seafront. Alness 26:42 the only parkrun I have ever stopped halfway to take photos, truly stunning. Scotland if you get the weather is just amazing. Mersea Island 26:39 another one near the sea, JW fi and myself ran this. I would recommend this one as the whole island is worth exploring. Vogrie 26:51 what can be said about getting up at 00:00 picking up JW and Fi then driving for 7.5 hours, a quick stop at the Angel of the North, another stop at the border then 30 mins kip in the car park before the run, Then the drive home. Zary, Poland in 27:11 the end of the alphabet challenge JW SD Fi and myself had a great weekend in Poland and Berlin, the highlight must be the David Hasselhoff museum. Westmill 59:48 another camping trip, I tail walked this one with a guy who only did one lap and smoked 2 fags as he walked around. Very hilly course a little gem in my opinion with a great breakfast place for afterwards. Great Dunmow 26:06 A pretty little park just up past Stansted Essex keeps getting new parkruns will I ever get them all done? Victoria Dock 25:10 PB course written all over this one, it had the benefit of its very own cable car as well. Remember to check that itâ€™s on before you go as it seems to be called off a lot because of other events at the dock. Colney Lane 26:53 in the ground of Norwich UNI, loved this one I bumped into a guy I have not seen in years. Holkham 26:15 another in Norfolk absolutely stunning, set in the grounds of Holkham Hall. Southwark 26:16 I picked local as I was off to volunteer on free cycle London, 3 laps in a great park, I have driven past here so many times but never ventured in. Catton 26:28 another Norfolk on ticked off, 519 people turned up for this one as it was in memory of a guy who loved running but sadly was killed on his bike, We were told to enjoy the run and talk to other runners as he always did, I got talking to a guy from Newcastle who was in Norwich to run the 10k the next day. I cheered on as well as a few ELRs. I am now a pirate. Eastleigh 27:28 Camping cancelled as waterlogged site, A quick look on google and I booked a hotel, it's a 3 lap run around an old golf course, a hill that goes on for ages. I now have finished the compass, Westmill Northala Southend Eastleigh. Isle Of Wight 25:28 I was not sure about this one as I have only ever visited the place for work, and it had never gone well. I picked up JW Friday morning and we camped out for the weekend. Along with Bamford Diana and the Le Roux. I don't think I have laughed as much in ages. The parkrun was at hilly with a sting in its tail. Also I came 3rd in a 5k on the Sunday. I now like the place a little more. Sizewell 25:07 A great parkrun with HN and ST (Ware Joggers) I camped out 5 mins walk from the start, just over 200 people but I think this will drop. A lovely flat run along a path just behind the sand dunes, Only bad part I lost my tent on the last night in a storm. I have now finished Suffolk again they seem to start more than Essex. Horsham 25:19 A nice little park in the heart of Horsham 3 laps I'm starting to like laps, I camped out the night before at a local pub, a few pints and a lovely pub meal on Friday, Saturday I met Jo Bull as this is her local parkrun. It was awards day and Jo won best female park runner of the year. Cambridge 24:14 Last camping trip of the year, fastest time in ages well over a year my 4th fastest event. So pleased a massive thanks to Grant Conway for pushing me at track it really does help. The course is three laps 2 large and one small, a very busy run all on paths well worth a visit. Great Notley 25:04 another Essex, they have loads this is special as my nephew is joining the tourist group, 20 events also his 50th and he becomes a bee gee (3Bs and 3 Gs). I now miss two parkruns because of my holiday. Come on Spain join the parkrun world. 23.48 well Friday start to be honest I flew to Inverness from Luton and picked up a hire car, along with a couple of friends we drove down to Aviemore and checked into the B and B, the course meeting is at the gates at the end of an industrial estate, after this you walk under a little bridge into a truly stunning landscape, the course is undulating and all on paths, once again I was blessed with nice sunny weather in Scotland. After the run we had a drive around Loch Ness but Nessie never showed her face. 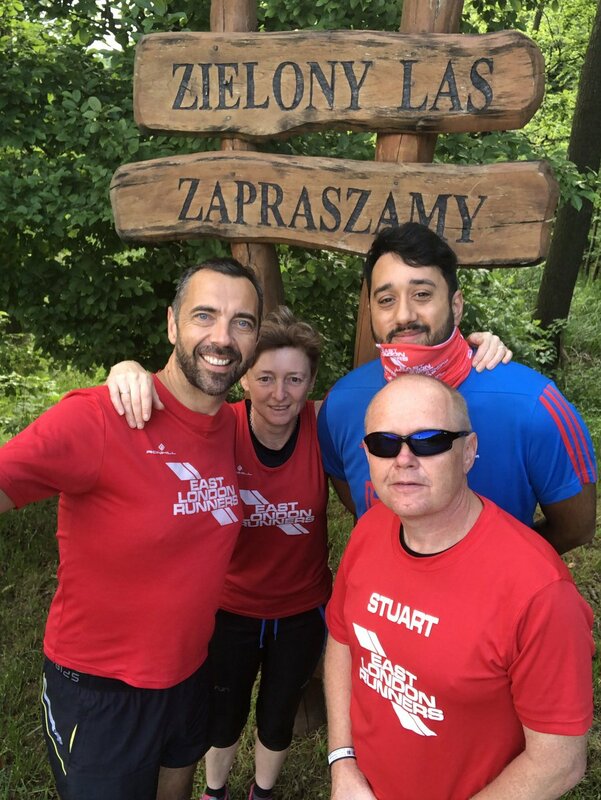 Darndale 22:53 a new PB in the rain, a great day with some of my mates from ELR, a very early start but worth it, a three lap run in a rundown area of Dublin, it never stopped raining all day but we never stopped laughing. East Grinstaed, 25:41 one of the hardest I have ever done â€œThat Hill 3 timesâ€. I picked SD and JW up about 07:00 we stopped to pick a coffee on the way, I was very confident of a good time after the last few parkruns but pride comes before a fall, I started off too fast and was soon paying the price, first time in trail shoes for ages but they were needed, the grass was slippery and the hills hard. Nice flat one next week I hope. Peacehaven 23:30 a last minute change of parkrun due to work, I picked this one as it was close to the job I had to do, 3 laps with a hill was not what I wanted after last week but I loved it, I came 22/142 well pleased with that. 22:42 pilgrimage to Bushy with loads of ELR, so pleased to try and give the tourist bug to a few more, 23 ELR made the trip. 207 out of 1280. Did I say I got a PB BTW. Billericay 22:58 you can't get a PB every week. Along with HN I went to this 3.8 lap parkrun, we met up with JN beforehand I knew he would be fast and he was. It was pacer week so I stuck with the 23 minute guy and was hoping to pull away in the last 500m, but had nothing left in my little legs. Only 2 more Essex parkruns to go now. Hadleigh 26:38 wow that was hard, a great start all downhill then some undulation followed by running up what you have just come down. I picked up AD and we met FC in the car park before the run. The weather was a little cold but we soon warmed up. Only one in Essex now. Bas Vegas 24:02 so thatâ€™s it Essex is finished I am Essexcuted and Suffolkcated (unsure of the spelling), A wet and hilly 3 lap run with FC and JN today, I was once told it never rains at parkrun I can tell you today it did, we got a few strange looks having our breakfast in Sainsburys. Dinton Pastures 23:48, a last minute swap on to do this one as a couple of mates needed the D, a 90 minute drive to Reading for this one but worth the drive, the run is on paths and gravel so after the rain of the last couple of day we had a few puddles, as it comes to the end of the year I am missing my mates at Wanstead more and more. Panshanger 24:44 A great 1 lapper with a hilly start, I met ST from Ware joggers at the start, Sky TV were filming so might get on TV, the first real cold run of the winter today, Great views across the lake and then off to Westmill to meet up with fellow ELR tourist Fi and Shaun, my first parkrun as ELR male runner of the year. Harlow 23:34 a vast improvement on my last run here 2 years ago (27:10) this time I met JW and FC 3 of the tourist gang for the last time this year, 2 big and 2 small laps with the hill 4 times. Event 49 of the year done. Two more parkruns to go this year. Ipswich Christmas day unsure about my last one yet. Ipswich 23:25 a new PB for me at this event, it was cold the ground was frozen but I had Big Dave to cheer me on. So that was my 50th different parkrun this year, I have my gold badge on my parkrun profile, only one left this year nice and local I think. Roding Valley 25:08, a course PB I donâ€™t know how. I had a hangover after a great night with the VC and a few other tourists, well that is it the year of touring is over. The alphabet was completed,a few new badges added to my profile page. What will next year bring, well I have stupid marathon in April to do but I have booked a few trips away that will be new parkruns. 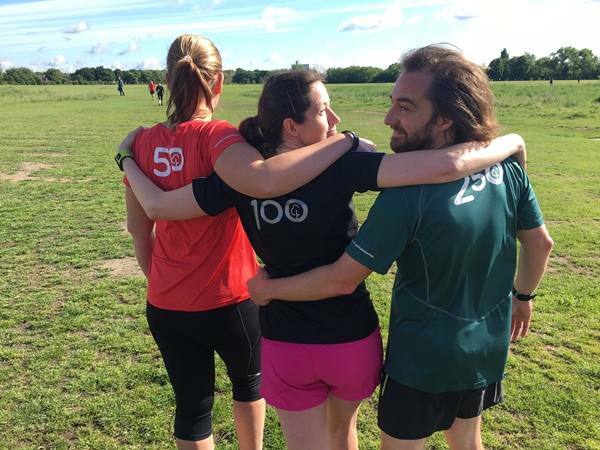 East London Runners participate in local parkruns, mainly at Wanstead Flats, Valentines Park, Hackney Marshes and Walthamstow. ELR athletes also occasionally report back from some of the dozens of parkrun events elsewhere in London or the UK. 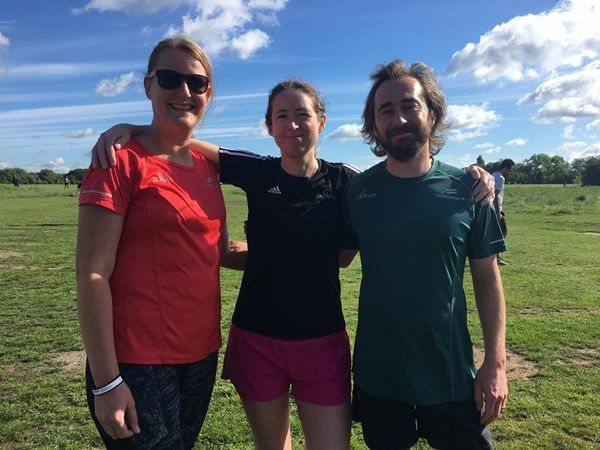 Because parkrun is 5k, the events are ideal for beginner runners wishing to build up to the distance of around 5 miles required to run regularly with ELR. Since parkrun is weekly and takes place early in the day (Saturday at 9am), the events are ideal for maintaining fitness without being a pressure on time. Finally, because parkrun is not tied to any club, the events are a chance to tap into a running community outside of ELR. The parkrun website provides a wealth of information about the parkrun family and includes weekly results, together with a wealth of statistics derived from them. 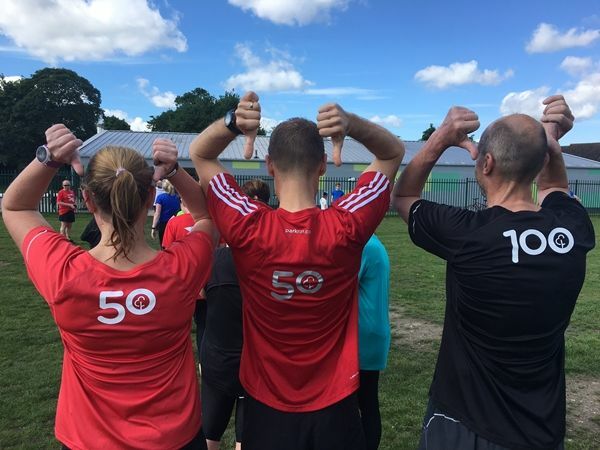 Long-term parkrunners are awarded with "50", "100" and "250" t-shirts on completing that number of events. 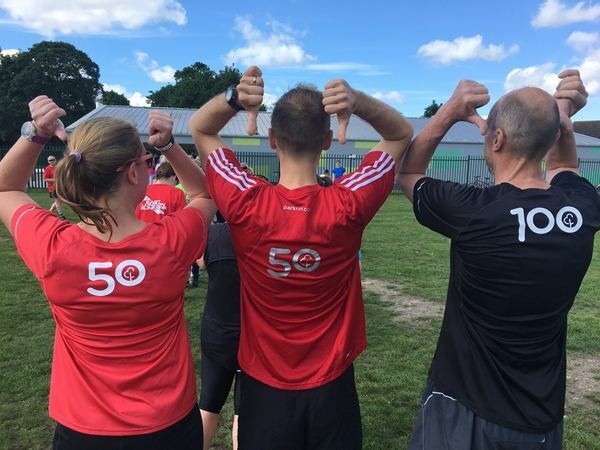 The prestigious "250" t-shirt was claimed in July 2016 by Scott McMillan who completed the majority of his runs at Finsbury Park and Wanstead Flats before joining ELR.